Life potentials What is a Keystone Habit? Keystone habits influence how we work, eat, play, live, spend, and communicate… they can start a process that, over time, transforms everything. From the word “Keystone” I guess you have an idea of what a keystone habit is. One definition of keystone is “a central stone at the summit of an arch, locking the whole together.” That image gives you a good idea of what it is. We all know about habits. Some are good, some are bad… and they all influence the way we live our lives. If you take a closer look at a person who consistently wins, and one who constantly fails, you will find that they have a keystone habit that can be blamed. So, it makes sense to have keystone habits that leads to success, right? We want to develop a habit that will cause a positive ripple in our lives, and start other good habits. Most of the time, our habits get embedded in our personalities without us noticing. It’s just something that we repeatedly do until it becomes a part of who we are. But habits can also be cultivated intentionally. If you want to see a certain result, you repeat the action that gets you closer to that result. 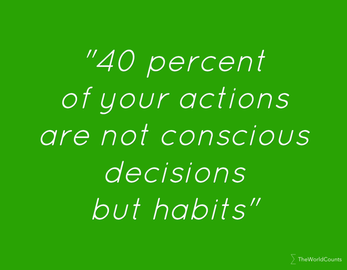 You make it a habit. 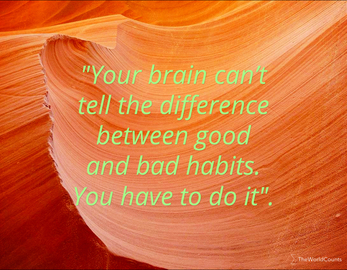 Which of your habits results in small wins for you? It can be as simple as watching your calories, walking for 30 minutes a day, making a to-do list or setting goals as soon as you wake up. Once you’ve identified your keystone habit, consciously and consistently repeat it. That will strengthen the habit and its positive effect in your life. But how do you know which are keystone habits? You know yourself best. What is the cause of your successes, big or small? Which of your actions brought it to fruition? That is your keystone habit. If you want to develop a new keystone habit to improve your life, you can. It will only take a little bit of reorganizing your routine. You will need to change your current behaviors, eliminate bad keystone habits and slowly incorporate the positive routine in your daily activities. After a couple of months of repetition, you will be doing it unconsciously and automatically. Mollie has a high pressure job. One of her keystone habit is to ensure that she takes 30 minutes off her hectic day to meditate. After lunch, she finds a quiet spot and empties her mind of the stresses and concerns that have accumulated during the morning. After meditating, she continues her day with a clearer mind, and renewed energy. Because she is able to regroup this way, she is more productive and focused. If she didn’t spend the time meditating, by lunchtime she would be harassed and overwhelmed, making her prone to bad decisions and mistakes. This habit is what gives Mollie an edge over her peers, and one of the reasons for her success. Evan was diagnosed with Diabetes and was required to limit his carbohydrate intake, and control his calories. He now watches the food he eats. He reads the labels of the food before he buys them, and has become more conscious of the sugar and fat content of products. This new knowledge prompted him to eat only sugar-free and low-fat foods. His blood glucose improves and his Diabetes is now controlled. He loses a little weight. He feels lighter, and looks better. The improvement prompts him to exercise for 15 minutes daily, so he can lose more weight. After a couple of months, he is a physically fit man. His new lifestyle and appearance has given him more confidence in himself. He is more vocal and active at work, reason why he is now being trained for a promotion. Evan is definitely happy with all these changes, and his wife notices it too. He is a better husband, more loving and giving than he used to be. All these things happened just because he started watching what he eats. That is the power of a Keystone Habit. A positive one, when developed and strengthened, has the ability to start a chain of events that can change your life. 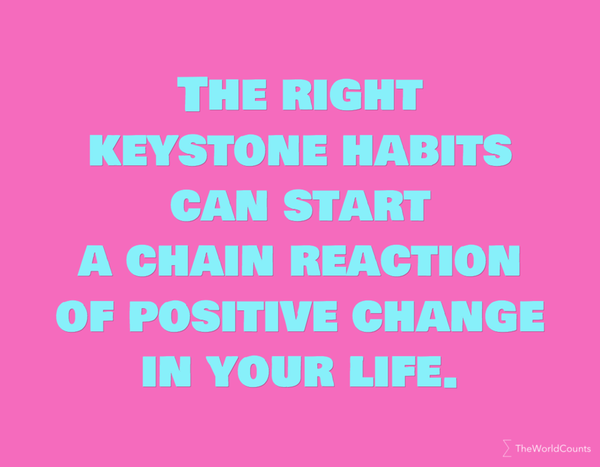 Which keystone habit is the secret to your happiness and success? 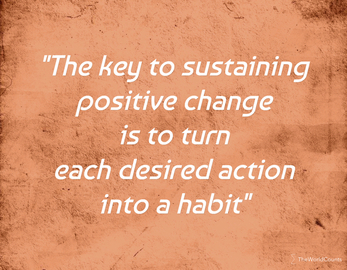 Do you want to know how to use habits to create positive change in your life? 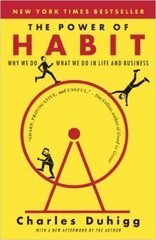 Read "The Power of Habit: Why We Do What We Do in Life and Business" by Charles Duhigg.